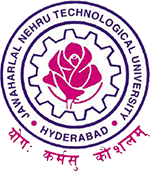 JNTU Hyderabad has announced B.Tech and B.Pharmacy (2-1,3-1,4-1) Supply Examination Time Tables Feb 2016 on 29th jan 2016. Students Check and download official time tables from below given links or from official website. Sir 2 1 Ka result acha nahi aya sir q aisaa aaqir mere saaat kab sey likhroun sir main. I am a r07 batch its my last chance but I didn’t apply can I apply now for the exam because its my last chance ….